Be dynamic and proactive! 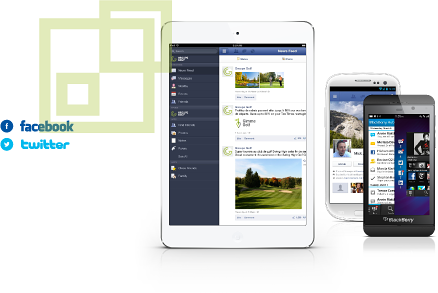 Connect with golfers directly via their email or Facebook accounts. 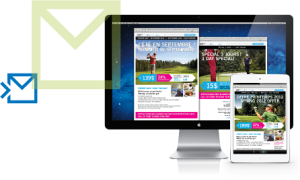 Thanks to our email marketing tool, GGBlast, you can reach your customers easily. Nothing could be easier with GGBlast. Contact us for a free try. Send email promotions to your current customers, and to other golfers in your region who are members of REDBOOKGOLF. You can target hundreds of new customers who are not on your current mailing list. 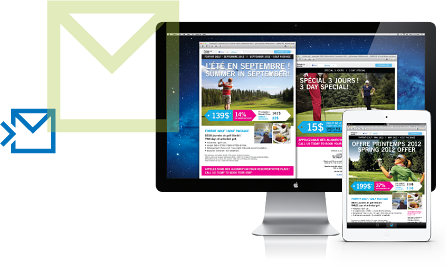 Our design lets us respect the preferences of individual golfers as to the frequency and type of email they receive. This respect for the customer guarantees results and distinguishes REDBOOKGOLF from other online solicitation products. As a member of the REDBOOKGOLF family you can post automated email promotions at no cost. Contact us to be part of REDBOOKGOLF. It’s free for golf courses coast to coast in Canada. Meet golfers where they are - on Facebook! Successful companies know that to build customer relations you have to share through Facebook. 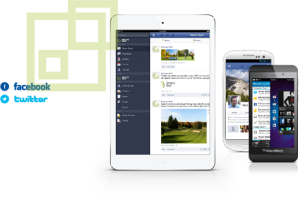 Maintain close contact with your golfing customers on Facebook and watch your promotions go viral. Our strategic management of social media puts you on track to convert social media traffic into income. Let us help you build a strategy that pays off!